Dokufest brightens up Kosovo again! One of the most vibrant and diverse documentary film festivals in Europe kicks off again this week in the very quaint and charming town of Prizren, Kosovo; check out our lowdown on Dokufest! This year DokuFest is in its 16th edition. What was once a small initiative quickly grew and became a catalyst for cultural and cinematic revival, and a hub for documentary films in the Balkans, attracting filmmakers from all over the world. Perhaps more significantly, DokuFest is a platform for human rights, environmental protection, cultural heritage and taboo breaking. 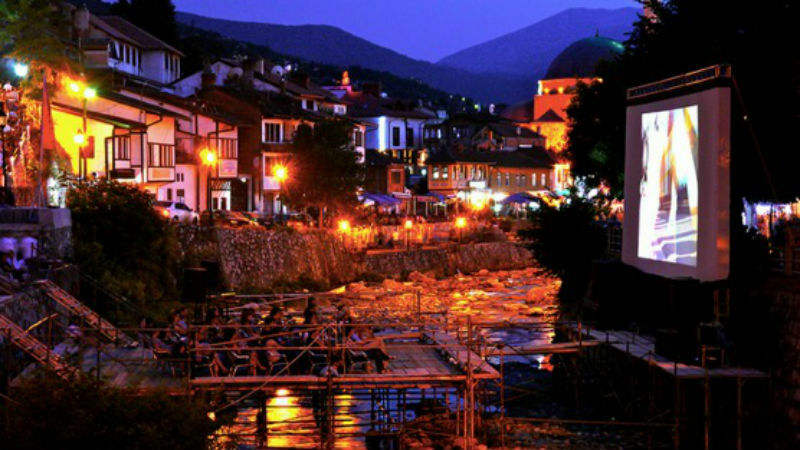 It has built solid bridges between the peoples of the Balkans and the rest of the world. The festival tends to focus on small groups, causes and communities without a voice. The organisers carefully shape the event according to films being shown, with numerous support activities – such as workshops, panels, master classes, and a photo exhibition. Previous strands of the festival included migration, political change and activism, and they have consistently encouraged the discussion religious, sexual and social taboos. This year’s programme is divided into Competition and Special Programme. In the competition section, films are grouped in Balkan Dox, International Dox, Human Rights Dox, Green Dox, International Shorts, and National categories. Sections of the Special Programme include ‘View from the World’, ‘Future My Love’, a retrospective of avant-garde English documentarist John Smith and much, much more. It’s very difficult to select from a pool of more than hundred documentaries and many more short films, but here we have come up with a few recommendations for you, and our reviews will follow soon. 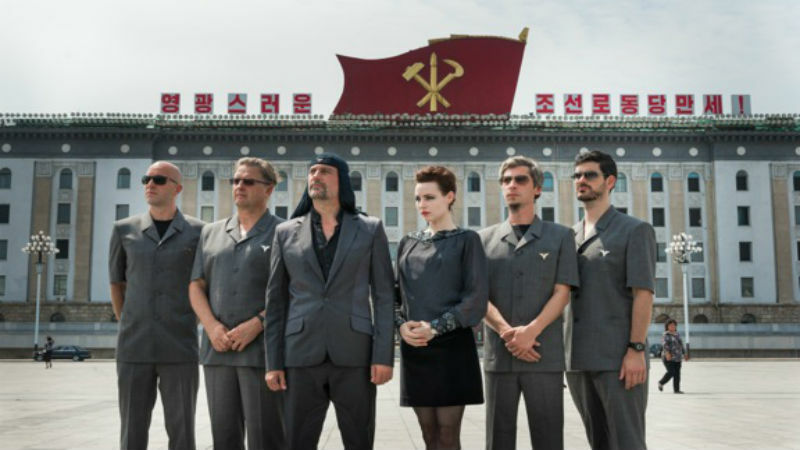 Firstly, the eagerly-awaited doc about the controversial Slovenian band Laibach’s concert in North Korea (pictured above) will be presented at the Fest. This is as dirty as it gets. The country may sound strangely interesting to almost everyone these days but few would imagine a concert of legendary Slovenian rock band Laibach in Pyongyang in celebration of countries national holiday. That’s exactly what happens in Morten Traavik’s and Ugis Olte’s wry and humorous film Liberation Day (2017), a first such concert for a western rock band. There’s even a very unusual rendition of The Sound of the Hills to a beyond perplexed audience! Secondly, the very touching Donkeyote (Chico Pereira, 2017). Manolo leads a simple life in Southern Spain. He has two loves: his animals, in particular his donkey Gorrión (“Sparrow”), and wandering through nature. Against the advice of his doctor, he decides to plan one last walk in the US, the brutal 2200 mile Trail of Tears. But not without his donkey. Finally, Recollection (Art Haxhijakupi, 2017) reflects experiences of Kosovo from the perspective of a child of the 1990s. It is an experimental documentary that explores the author’s feelings between individual and collective memory, identity and struggle. Through a collage of family footage along with mixed items of pop culture memorabilia, this experiment celebrates the collective journey in an era of oppression and resistance. In the intersection between two different realities, this video-narrative is spontaneously built and never simply over. This piece is an updated version of the article originally published last year for the occasion of Dokufest’s 15th anniversary.